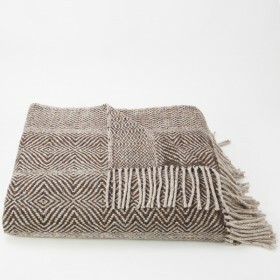 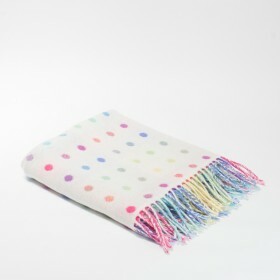 This beautiful throw, handwoven by Studio Donegal takes inspiration from rainbows in County Donegal and Slieve League. A very special throw, when you look at it you see a foreground of hill, forest and bracken with a rainbow rising up through the weather and its reflection. 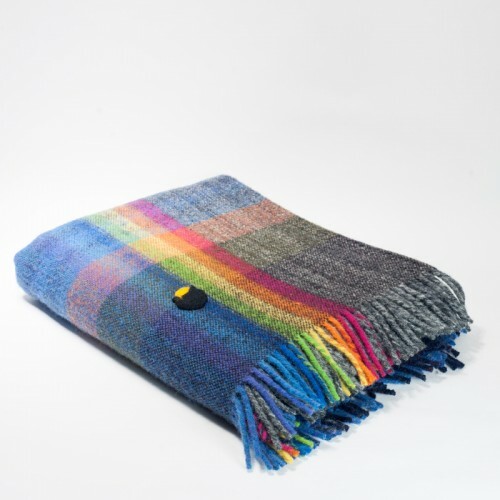 In keeping with the mythology there is a hand felted pot of gold at the bottom of the rainbow.